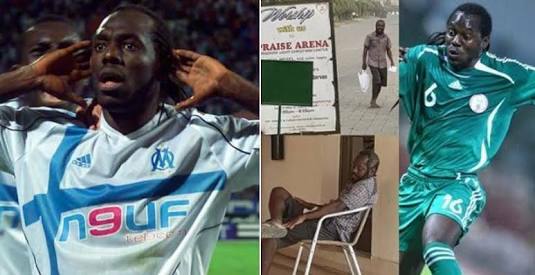 Former Super Eagles midfielder, Wilson Oruma, has finally broken his silence on his sad experience with fraudsters who duped him close to N2billion. Recall that the ex-Super Eagles captain suffered a relapse of the emotional disorder that bugged him 6 years ago after he was defrauded by a clergyman and some fake oil businessmen. “This is my first time of speaking with any journalist on this," he said. We wonder why the EFCC can't take up this case and help him recover some of his money, since he had no money to even pursue the case himself.